When the idea of going to the dentist makes you want to run and hide, contact the professional team at Weishaar & Weber Dentistry in Spokane Valley, Washington. Dr. Anthony Weber, Dr. Sue Weishaar, and Dr. Lori Weber offer patients gentle and compassionate care, and for those who experience severe anxiety or fear about the dentist, they provide sedation dentistry. To learn more about this pain-free procedure, call the office today to schedule your appointment. You can even book it online. Sedation dentistry provides an anxiety-free dental experience for those who are fearful of going to the dentist or having dental procedures done. Through the administration of certain medical sedatives, your dentist reduces your anxiety and makes the process of getting dental work less stressful. If going to the dentist creates so much fear and anxiety that you end up canceling your appointment, you should consider sedation dentistry. Because you take most of the medications given at Weishaar & Weber Dentistry by mouth, you might not have to worry about IVs, shots, or needles. If you opt for sedation dentistry, you need to bring someone with you to the appointment. It’s not always safe to drive while taking these medications, and sometimes your dentist gives you sedatives to use the night before or the morning of your appointment. Be sure to have a caregiver bring you to the appointment and drive you home afterward. At Weishaar & Weber Dentistry, the team of dentists offers a variety of sedatives to help you relax during your dental cleaning or procedure. They typically give oral medication, but in some cases may suggest IV sedation or nitrous oxide. Many people believe the medication your dentist administers puts you to sleep or makes you unconscious, but that’s not the case with sedation dentistry. In most cases, the medication makes you sleepy; you’re awake through the whole procedure, just tired. You stay calm and relaxed, and often, you don’t remember much of the experience. Perhaps the most significant benefit of sedation dentistry is that it allows you to get the dental work you need instead of putting it off due to fear. If anxiety has kept you from having the beautiful smile you’ve dreamed of, it can finally become a reality at Weishaar & Weber Dentistry. 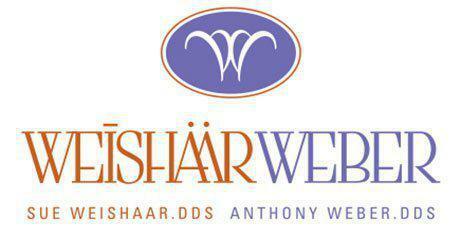 Call today to schedule your initial consultation or book your appointment online.